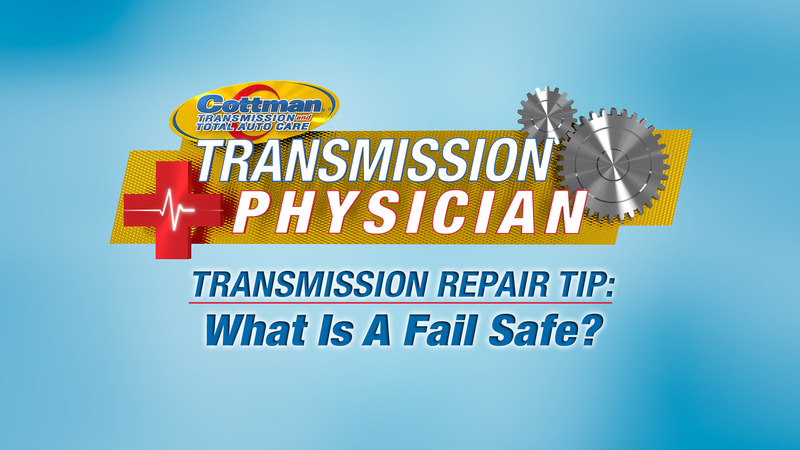 Home » The Transmission Physician Videos » Transmission Repair Tips – What is a Fail Safe? More likely, your car’s computer has put the system into failsafe operation. What that means is the computer found a problem that could damage the transmission if left unchecked. So it altered the transmission operation to protect it from being damaged. The transmission physicians at your local Cottman Transmission and Total Auto Care center can check the system for you. They’ll fix your problem and get your transmission working like new.